Straddling the border of Argentina and Chile, Patagonia is located at the southern tip of South America. The area is vast and diverse covering over one million km squared. Surrounded on three sides by coastline, it boasts a unique range of wildlife both offshore and inland. Here, you will find diverse landscapes like no other. Traverse deserts and semi-arid lands, hike up imposing mountains and witness some of the most breathtaking glaciers in the world. Home to incredible national parks, including the popular Torres del Paine in Chile, it is no wonder that this is a hiker’s paradise. Depending on the park you are trekking in, food is not usually available, so make sure you bring enough provisions. After a long day of trekking, there’d be nothing worse than not being able to enjoy a hearty meal! There’s no better time to trek in this fascinating area than mid-November to late March, but do keep in mind that the weather has a mind of its own! If you’re looking to explore various parts of Patagonia, our specialists recommend allowing about a week in each area. Purchase your hiking gear before you leave, it is expensive locally. For inexperienced hikers or for those just wanting something a little more easy-going, the Lago Grey trail is the perfect choice. This trek takes approximately three to four hours and passes through a lush landscape of wildflowers and vegetation. The main attraction is of course, Lago Grey. Here, see mesmerising pale blue icebergs floating in the water, all set against a dramatic mountainous backdrop. If you’re feeling more adventurous, the iconic Mount Fitz Roy should be next on your list. Departing from El Chalten in Argentina, this full day trek is mostly flat until the final hour, where it becomes quite steep and more strenuous. However, don’t let that scare you! This path guides you through some of the areas most magnificent forests and hilly landscapes. 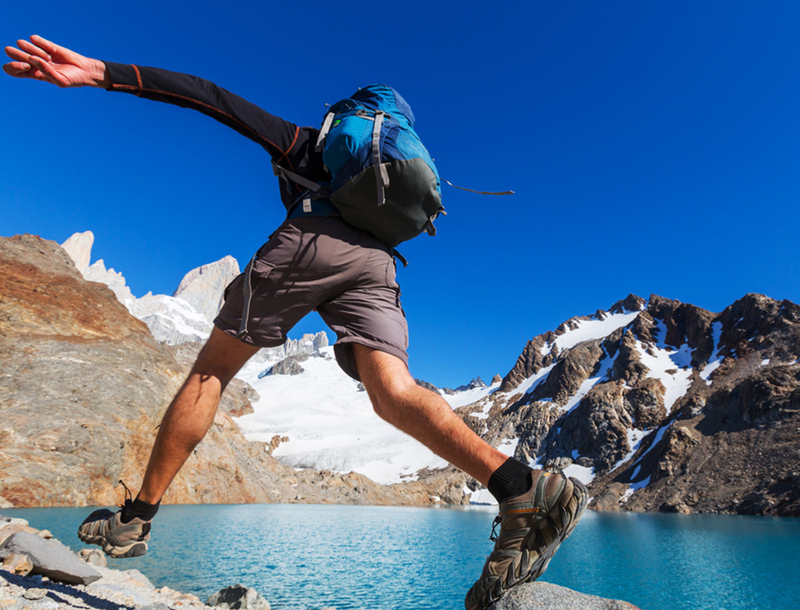 Finally, you will reach Laguna de los Tres, giving you an unmatched view of the Fitz Roy peaks. One for the more experienced, this three to four day hike is just over fifty km. If you want to see the true diversity of the Chilean landscape, this trail has it all. Trek through beautiful native forests, cross rocky terrains capped in snow and end your journey at the stunning Laguna Cerro Castillo. If you’re keen to see the laguna but would rather not trek for four days, you can do a full day hike along the emergency route to see this magnificent spectacle.